The taste of plainness and of the Tuscan tradition will lead you in a heavenly experience. In our farmhouse, you will live the pleasure of the home-made cooking…touching, observing, hearing, enjoying, even before savouring the delights of our cuisine. Be tempted by the colours and the shapes of the presents of nature, of our farmland and of our animals. 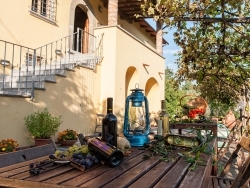 Enjoy the radiance of the fruits and of the honey, be delighted by the wind that whispers through the olive trees and the vines, breath the fresh and pure air of these woods. You will discover the fragrance of the home-made bread and pizza, you will enjoy the wholesome taste of our olive oil, of our jams and of our liqueurs, you will slake your thirst with the spring water of these mountains. 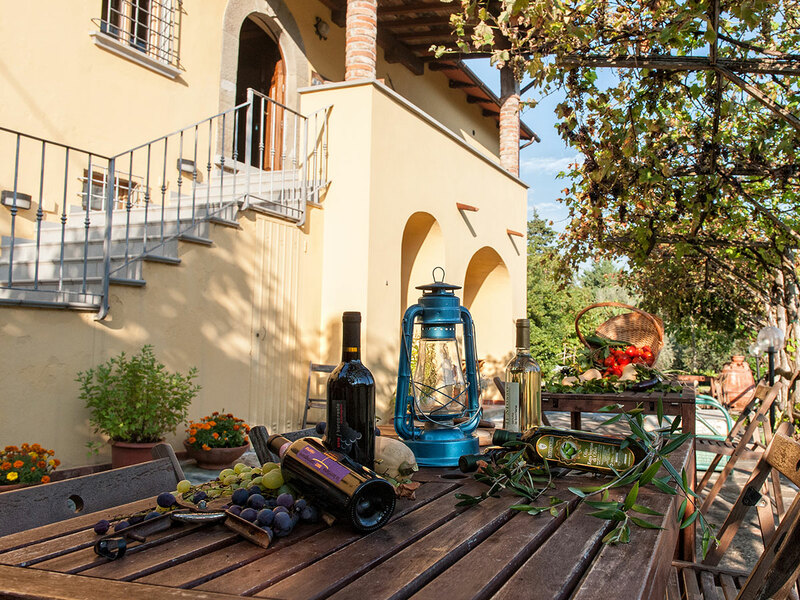 You will find all the nature’s energy and the recipes of the most genuine Tuscany in each of our dishes: so your holiday, made of little pleasures and discoveries, will be a paradise of taste and tranquillity.